With Jasmina Vignjević, president of the Nordic Business Alliance, we spoke about cooperation between Serbia and Nordic countries and many steps that could make that cooperation even more successful. How stable and predictable are conditions for doing business in Serbia today, from the perspective of Nordic investors? – General conditions for doing business are satisfactory in Serbia. Testifying to this is the fact that the Nordic Business Alliance has around 50 members. The efforts that the State exerts to attract foreign investors are noticeable. Significant steps forward were taken in the previous period in certain areas, for example in the field of e-permits for construction. We are also witnesses to dynamic changes in the economy at the global level, which is why it’s important for us to have an adequate legal framework that will enable the development of innovative business models and the competitiveness of our economy. When it comes to risks, at the level of local self-government there is still a very significant risk of introducing para-fiscal charges and very uneven fees and taxes for doing business, which is certainly one of the problems that discourage new investments. One example is the idea of mandatory registrations of prepaid users of telecommunications services, which, according to the current solution, would be financed by mobile operators. 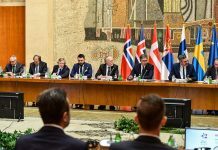 To what extent has progress made on the macroeconomic and legislative fronts contributed tangibly to strengthening economic exchanges between the Nordic countries and Serbia? – According to the latest available information from the Statistical Office of the Republic of Serbia, total foreign trade with the Nordic countries in 2016 amounted to about 560 million euros. The volume of trade increases year on year, with macroeconomic stability contributing the most to that, and we hope that in the coming period that growth will be even more dynamic. I would also like to point out that there are positive examples of investments from Serbia towards Nordic countries, such as, for example, the acquisitions made by Serbian company I&F McCann in Norway, Sweden, Finland and Denmark, which to our knowledge is the first investment from Serbia in the Nordic region. The Serbian Government has made digitisation one of its priorities. How much could this encourage Nordic companies, and what specifically do companies expect in this respect? – Digitisation and e-commerce, which ease and reduce the costs of the operations of traditional industries, are among the most important prerequisites for new investments, particularly those that create better-paid jobs. Nordic companies expect a reduction in bureaucracy, simpler administrative procedures, as well as security and predictability in the business climate. When considering Serbia as an investment destination, an investor from the Nordic region often also wants to sell products and services beyond the borders of Serbia, in which complicated foreign exchange regulations that are not always justified represent an unpleasant surprise for a country that is on the path to European integration and is advancing on ’Doing Business’ lists. What did the dialogue with the government – launched after last year’s talks with then Prime Minister and now President Aleksandar Vučić – specifically bring to resolving the challenges faced by Nordic companies in Serbia? – We have made positive progress this year. First of all, at the actual event, we discussed Ikea’s arrival in Serbia. Today Ikea operates in Serbia and we hope that, over time, more domestic companies will be able to sell their products through this global chain. In the domain of digitisation, a visible shift has been made in the establishment of e-government through the regulation of basic databases and their interconnecting. When it comes to digital signatures, the Serbian Government adopted a law that establishes the framework, but substantial improvement is only expected with the introduction of bylaws, while in the area of free (cross-border) flows of data, we expect progress when the new Law on Electronic Communications is adopted. Another of the topics was innovative medicines, and in that, we have concrete results. After five years, the list of innovative medicines for which costs are covered by the National Health Insurance Fund has been expanded. Apart from that, the Nordic Business Alliance, in cooperation with the Government, has found solutions to improve and accelerate procedures for approving clinical trials of new medicines. Finally, we are involved in amending the guidelines regulating the standards of quality to which building materials must adhere. The idea is for attention to be paid during public procurement procedures to the health of people, the natural environment and sustainability of materials ordered. 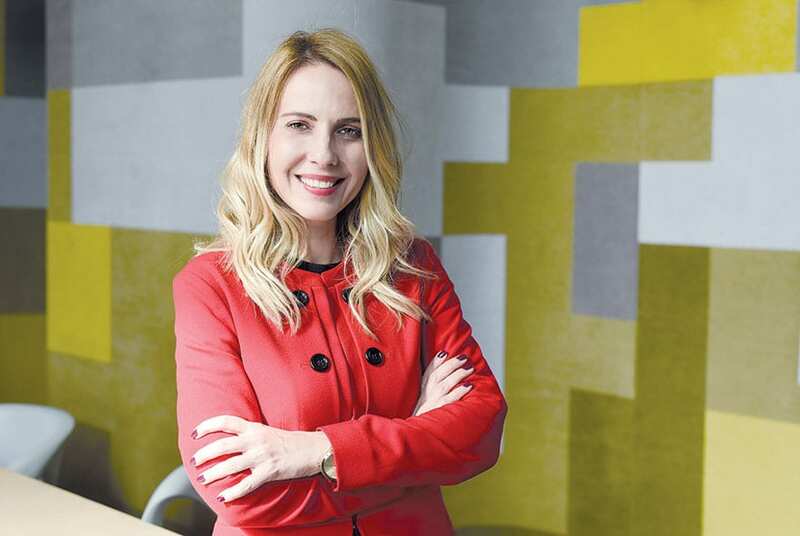 How much do events like the 10th anniversary of Telenor’s operations in Serbia and the launch of Ikea’s work contribute symbolically to strengthening Nordic-Serbian business relations? 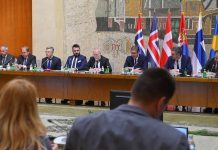 – These events give not only a symbolic, but also an essential, contribution to the development of business links between Serbia and the Nordic region, and represent a powerful signal to potential investors that Serbia is a good place to invest. Telenor is still the largest single foreign investor in Serbia, which has been operating successfully on our market for eleven years and has made investments exceeding two billion euros during that time. On the other hand, the fact that a global Swedish brand Ikea has returned to Serbia after many years represents a recommendation to all other investors. It is for this reason that it is very significant that the President of the Republic of Serbia and ministers visited Telenor on the occasion of its tenth anniversary of operating in Serbia, just as was the case recently with the opening of Ikea, because in this way a message is sent regarding the state’s strong support for those deciding to invest capital in Serbia. In which areas could Nordic companies potentially create the newest jobs in Serbia? – Definitely the IT sector, which is also one of the Serbian Government’s most important priorities. There is also energy, in which Nordic companies are mainly focused on renewable energy sources like solar and wind energy. Our agriculture resources are not sufficiently exploited and we consider that another area with the potential to create new jobs. How much have Nordic business values – such as innovation, openness, trust and responsibility – today become part of the business environment in Serbia; and to what extent do you notice them among the Serbian business partners with whom you have established long-term business relationships? – The mentioned values contribute to improving business standards on the market and our company will continue with business practises based on these principles. When it comes to innovation, I must mention the ICT industry and the examples of several globally successful IT companies that started their development as small start-ups and succeeded in selling their products on the world market. As a specific example of the values we’re trying to transfer to all those with whom we operate, I would like to note that we at Telenor conclude an Agreement on Responsible Business Behaviour with all of our suppliers. In accordance with this agreement, all suppliers are obliged to respect strict ethical, environmental, health and other standards throughout the entire production chain or in the provision of services. Our controls on the application of these standards have shown that they are implemented consistently, which created direct benefits for around 58,000 employees who work for our suppliers. Where do investors see the slowest progress and what could Serbia learn from Nordic countries? – The Nordic region is not only known for cooperation among companies, but also for partnerships between the economy and the state. In this sense, in Serbia, we need better coordination between state authorities. Goodwill exists for cooperation, but it is almost ‘mission: impossible’ whenever coordination is needed at lower levels within the state apparatus itself. Good laws are often passed, but their positive effects are lacking due to inadequate implementation. In the end, one relevant problem is the existence of state monopolies, the non-implementation of public procurements and the favouring of public enterprises in public procurement procedures. A considerable number of our members face this problem, and this is something Nordic companies can’t understand, as transparency in decision-making and the implementation of public procurements in accordance with the law is beyond question in Scandinavia. What are the key questions posed by Nordic companies considering starting operations in Serbia and the region? What do they perceive as the greatest risks and potential of this market? – Companies are interested in many things, but primarily legal solutions, the predictability of the business environment, political stability and the willingness of the public administration to cooperate. When it comes to the legal framework, the key question is whether it is harmonised with EU regulations and whether it is implemented in practice. Investors are also always interested in export opportunities because they often see Serbia as the hub of their regional operations in this part of the world. 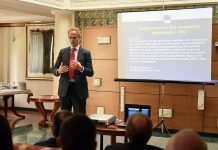 In that sense, it is precisely the possibility of duty-free exports to EU member states, but also the trade agreements and incentives that Serbia has with other Eastern European and Asian countries, that represents one of the advantages of our market. Nordic companies are pleased that people in Serbia are experts in their areas of operation. Talented people from our country often participate in the work of teams on a global level. When it comes to the business risks that companies emphasise, questions always arise regarding improvements to the coordinating of state institutions, legal security and the favouring of public companies in public procurement procedures. In which areas are the Serbian government and Serbian companies most interested in the transfer of know-how from Nordic countries? – Nordic countries are known for applying sophisticated technologies and innovations to resolve various problems and improve the quality of people’s lives. In this, every idea and innovative solution carries within it the idea of environmental protection and the highest possible reliance on renewable energy sources. All these solutions are framed within the recognisable Nordic design that is valued around the world. I see the root of all of this being in highly developed business ethics and corporate governance, solid working habits, and the enthusiasm with which even the smallest problems are approached and solved. If we are committed to change and advancement, then I believe that as a society we need to look precisely towards the successful Nordic countries and transfer as many good practises from them as possible.